You know when you want a pizza how there are so many sites that will help you find the right one and even give you user reviews? Well, what if you want to take the right course? Today’s guest created a business that helps with that. Ruben Timmerman is the founder of Springest, an independent comparison website for training programs and courses. Andrew: Hey there freedom fighters, my name is Andrew Warner. I am the founder of Mixergy.com, home of the ambitious upstart. You know, if you want to, I don’t know, find a pen you can go online to an online marketplace and look around and compare pens and you will find the one that fits just right for you. Same thing for earphones, and so many other things in your house. But what about online education? What if you want to compare different courses? What if you want to look for a course and see what the options are. If you are going to do it online or do it offline etcetera, where do you go for that? Today’s guest is a Mixergy fan who built just the marketplace, the business has grown really big, and I invited him here to talk about how he did it. Ruben Timmerman is the founder of Springest, an independent comparison site for training programs and courses. They don’t create the courses themselves, they just make them more accessible to individuals and corporations. Ruben, welcome. Ruben: Hi Andrew, nice being here. Andrew: It’s exciting to have you on here. You know, before you built a business you told our producer that you had a marketing agency and preparing for clients was stressful. Give me an example. Ruben: Well, it’s always this presentation you have to give either in our workshop or our one-hour clean or something. I knew a lot about the topics I talked about, which is online marketing and usability or research. I [inaudible] I would just wait until the very last moment to actually finalize my presentation and then wanting to do it right, I would always work the entire night until three, four, five in the morning, then I would have to do my thing. It wasn’t really a bad deadline, you know? It was never about my quality or my deadlines were always there. So that’s why I thought I should have another business where I’m not even mixed with that. Generating steady income, so that’s how it started. Andrew: Ah, I see. And in the beginning, before the business became what it is today, you were blogging. What kind of blogging led to this? Ruben: Online marketing, usability, search, marketing, those were the things I was specializing in. Andrew: And search at the time, this was what year? Ruben: Two thousand five, six, seven. Those were my blogging years. Andrew: Were those the years that google was ok with comparison sites buying up tons of ads, and essentially redirecting people to the customer. Is that what was going on back then? Ruben: It’s still going on actually, it’s not that, I mean you add in a value, there will be a spot for you in Google. That’s what I also observed you know, people want to compare. So it’s not that Google doesn’t want comparison sites in there. They might want to take them out. Andrew: The customers want more of the length sites. Do you remember when you could click on something like pens, and you would be taken to a page that had nothing but ten links to affiliate programs about pens, and the guy who ran it ended up just making more money on an Arbitress play. Ruben: Yeah, we would call them Arbitress sites or made for ad sense, stuff like that. Yeah, that was a bit earlier, I think that was sort of when [inaudible] was happening and I wrote an article about the world between comparison sites and the actual suppliers. Suppliers wanted to be up in [inaudible]. Comparison sites add a lot of value, by comparing and adding other things. There was just a spot open there, in education, and that’s what I actually blogged about once, then two years later I thought, ok, let’s do it myself. Andrew: What’s the opportunity that blogging helped you see. I didn’t recognize it at the time, and I don’t follow how that article helped you see an opportunity. Ruben: I actually wrote about the exact opportunity, I had made a comparison because I did a lot of consulting work, for instance, hotel sites. Like booking dotcom, as well as Dutch. Some smaller comparison sites. I compared different sectors for them so for instance, finance, the mortgage sector. It’s very crowded by comparison sites. Airlines, you know, tickets is the same. You can find a lot of comparison sites, and only a few airlines that actually did specific keywords themselves. So I found really interesting research topics, I wrote about different industries and how mature they are in terms of the war between the suppliers and the comparison sites. Then I literally know that I just looked down again, and what I said, here’s an opportunity in the education market, because it’s not a mature. Coming from the comparison sites. People always wanted to compete with the comparison sites in the results, and they are just not there, so someone should take them out. Andrew: So you are saying consumers want comparison sites, and there are only comparison sites when a market is more mature. Ruben: Right, supplies, but they also need to compare the supplies. You know, if it’s very much a dispose sector, where it’s always a different product for the client, then it’s harder to compare of course. Ruben: So this can certainly mount up to a quantity amount of comparison, and education was just getting there, in terms of they had quality in terms of underlying thinking by the education companies. They were just getting there, and when they are there then there’s room for comparison. So I think people look for that. Andrew: Okay. I understand the opportunity. How do you know how big the opportunity is? I could see a lot of people coming to, maybe not a lot, some other people coming to a similar conclusion saying, “You know what? I found a market. It doesn’t have a comparison site.” I get how to put the comparison site together. You do a lot of research, and you have to put some pages together. We’re going to get into your first versions, et cetera. I understand even where the revenue comes from. All these suppliers are going to pay you because you’re sending traffic to them. You’re sending real customers to them, but how do you know if it’s big enough. If there are enough people out there who are willing to pay for it, that’s it’s worth your while to build a business around it. Ruben: Well, essentially you don’t, and I didn’t. I just did it on the side, and it just took off. So for me there wasn’t any market research or anything. On the other hand you see surge volume in Google, for instance. That’s an indicator of one side of the platform. It’s on the user side. The other side are education providers, and they’re in a tough spot right now because of the recession, the HR gets a lower budget. So they’re in a tough spot. So there’s room for change there. And it’s tough though because there’s almost not much marketing budget left. The ones that are left there they need to do something, you know. They have to stop advertising on television and maybe take it online a bit more. So I saw some breathing room there plus the belief that learning is a huge sector. You know, your health is important. Your love life is important, but then learning is one of the most fundamental things, I think. And it’s a huge sector by definition because it’s just bought. I thought there must be something there. We just have to get a spot and maybe we’re worth it in the end. Andrew: And wait until people see how big a business you’ve got too. And we’re just going to take our time and let the story develop, but it occurred to me that a large part of what you are able to do was possible because of the person you were, even going back to when you were a kid. You went on a trip to Rome, and where most people might have seen an interesting experience, where they might have seen some guy selling sand and said, “Huh, these guys, these Italians are pretty weird.” You saw what? Ruben: Yeah, I saw an opportunity because my classmates were buying those little bags, and you could build them into funny figures. Something like that. Andrew: How would you mold sand into a funny figure? Ruben: It’s a balloon. It’s a balloon filled with sand and two eyes. Andrew: Oh, I remember those and then you could just keep squeezing the balloon and the sand would . . . Got it. Ruben: That’s it. And I just found them funny as well. Andrew: Okay. So what did you do? They thought, “This is a fun kind of toy. It’s kind of an interesting experience. Ruben: It turned into sort of a hybrid. I saw people buying a few of them. Every now and then when we saw a few of those guys on the street and at some point I went up to one or two that were on one street and said, “How much for all of them” because they were like, I don’t know, it was probably not one but I don’t know it was before the Euro actually. Ruben: And I bought all of them from those two guys and then from another down the street as well and started selling them to my friends actually. And there were two things at play. One was, of course, that I could get them at half the price, so I did that. So there was a marketplace already. The other was also that they felt a bit uncomfortable buying them because the guys were from somewhere else. They were not even Italian. They didn’t even speak Italian very well. So there was this hurdle for them to buy them. So I made it very easy for them, and I would just sell them at the same price they were buying it for without the hassle actually. Ruben: I was sort of a buyer or seller. I always had that, I think. Andrew: You always instinctively had that. Do you have another time, another example of a time when you did that? Ruben: I think my parents always said they were never worried about money with me. I would always say that and use it for something useful that I could invest in in whatever way investing was back then. And I also actually during my studies that I didn’t finish I had a small PC sort of building factory thingy. Andrew: Wait, factory thingy? What is that? Ruben: Well, I always build my own computers because I was a bit of a nerd. So I got that [inaudible]. Andrew: I remember that back in the Windows days you could really get your own motherboard, decide how big a hard drive you wanted, the works. Ruben: I was always over [inaudible] and stuff like that. So my friends would always go to me to ask me what kind of computer do I need? I want to do this, and this, and that. Basically it dawned on me it was always the same. People just wanted a computer that’s good enough, that can do all the hip things. Back in the day that was literally burning CDs. DVDs were just coming. I need a DVD and this and that. I would always give them the same advice. So at some point I started building them for my friends and then for, you know, further. And then we started to make that into a business. I called it “PC Man” actually, like I had the logo like this, PC Man. You would come to me and I would have the PC that’s perfect. And so I designed the configuration, buy a lot of hardware, put them all together. They were all the same. Every quarter I would change their configuration, but not so much so that when someone came back I still knew what configuration it was. I didn’t have to get them a new part or anything. I could just swap it into one of the ones I still had. It worked great actually. It turned out to be a little franchise where I sold a couple hundred of those computers to students. Andrew: Do you remember how much money, before you graduated, I guess you didn’t graduate you said, do you remember the most amount off of money you had in the bank from this? Ruben: Yeah, I think it was, fifteen or twenty thousand Euros. Which was probably a lot of money for me back then. I was making a few hundred a month and the rest where student loans, and stuff like that, but it kept accumulating. I remember I always bought new hardware of of it. It was never that much, and it was always all gone by the end of y studies of course. Andrew: To where? Where did it go? Andrew: What kind of partier where you in college? I’ll get back to this story in a moment, but what kind of partier where you? Ruben: Mostly dancing, going out and dancing. I went to Berlin a few times during my studies. It was in Amsterdam, going to other European cities was pretty normal then. Spending it on nice hardware, like a Beamer. I know I saved up for a Beamer that cost 3,000 Euros. Nobody could afford that, but it was this nerdy thing I had then. So that is where a lot of my money went as well. Gadgets maybe, I guess. Andrew: You know, I knew how to make it, I didn’t know what to do afterwards. I remember the most I had was 20,000 in the bank, and I said that’s a lot now. I’m in my late teens, twenty years old, but at one point it won’t be that much. What do I invest it in? I started walking around, looking for real estate. Nobody took a 19 20 year old kid seriously enough to do it. That became a problem. I wasn’t really cool enough to know that I could go party. Actually I didn’t know how to dance, and I didn’t know how to drink. That meant that I couldn’t even do the drunken dance. Ruben: That’s easier in the Netherlands I think. Drinking and dancing. Andrew: I had to really practice, I remember sitting down once, saying look everyone goes out for drinks. I need to find my drink. I am going to sit and order ten different drinks, the bar tender will make ten different drinks that I can remember and that he makes up, and I’ll have a sip of each one, and I’ll find the one I can actually stand the taste of. Andrew: You know what it is? It was scotch and soda, because that is the character in the catcher in the rye drank when he snuck out of school. I tried that, and that one actually worked OK, and that became my thing. I could drink scotch and soda. Ruben: But now it’s just coffee right? Andrew: This is actually watered down coffee, watered down decaf, because I keep adding hot water to it for my throat, for my throat. When I’m not here doing that its scotch. SO scotch stuck after all these years. Ruben: Big Google mugs actually. From my time as an agency guy, they gave out mugs and refrigerators and all that. Andrew: Because they were buying stuff? They gave you gifts. Ruben: Buying ads a lot, over a million per quarter you would get free fridges and stuff like that. Andrew: did you put it on your credit card and accumulate your miles also? Ruben: We didn’t do that actually, we still had an agency program, in the Netherlands we would just get bills for that, but we do it now, Now the adverts are all on the Amex. Andrew: I see where the idea came from. At what point did you decide, Amazon for education, that’s what we want to be. Where did that phrase come from? Andrew: I saw it on your about page, and I was surprised to see that. It does some more like an internal phrase. Ruben: It is, it is hidden very well actually. It’s just that internally we understand it. I’m not sure when it came up but the idea is still the same as it was five or six years ago. The model is so similar to every market place. Whether it’s booking.com or Expedia style sites, or Amazon. It is all basically the same, you help the user choose, and that’s what we do. At some point people started asking us, what is it? We always found it hard to tell them what to call it, a platform for, a market place for, a site for, we didn’t know. Andrew: I’m going to write that down, because I want to come back to how the A.P.I. works. The way you are talking about it now it makes so much sense. There are people saying, of course, he was around at the right time, of course this makes sense, but it didn’t make sense at the time. In fact, you started calling education companies the people who had the kinds of courses you wanted to list in your market place and they said what? Andrew: …What kind of coaching course were you trying to take? Ruben: Like literally for life coach. Coaching people on tough things in life and/or professionally. That was what I was interested in. To help people, not by just advising, but also by using, you know, what they already know, or what’s already inside of them, and trying to get that out. Andrew: So, Ruben, were you comparing in your spreadsheet how long a course takes and what the price is? Because I get how those are easy to compare, you want something that takes less time, but not so little that it doesn’t give you any information, and less money. But what about the soft things, like the approach that the coaching course takes, the way…the approach that they take to teaching, and the approach that they teach you to take when you’re coaching? Those are harder to put on your spreadsheet. Ruben: Yes, usually those are even different topics. So you would have, [??] you would have like five or six different types of coaching that we could phase in. So that’s one of the fragmentations [??] about 1200 different topics on the side. And they keep growing, and providers add more courses, which was, that’s sort of the folk song to me, you know, where the tags grow with the users. So adding new subjects is something we do all the time, plus adding a lot more data points. Like what do you get when you graduate? Is it a specific certificate, does it have an association? Andrew: You were, so you’re saying you were very structured, you put it in a spreadsheet, other people may not do exactly that but they’re comparing program’s and, of course, it’s a natural. So then you went and you got a developer. What did you get the developer to do? Ruben: Well basically by…build my spreadsheet, sort of. So I knew [??] because I had a blog, and I thought that, let’s start with that, you know? That works. So let’s just rebuild my spreadsheet into WordPress, where we compare, actually, not training programs, but training companies. Where we would say, okay if you want to do coaching you can go to this, this, and that company. Now if you want to do something else it’s this, this and that’s where it started with. So we didn’t have the products, we only had the, the provider so to say. Ruben: There is, there was no such thing. That was the maturity, actually, it was so interesting. That was why the gap was still there. They hardly had any affiliate programs or xml feeds or something, that’s still a problem actually. So the data isn’t structured in this industry. So I just asked them, okay, where can I get your courses. And sometimes they would just say, well, get them off the side. Or sometimes if I was lucky it would be an Excel file that would have been copy based. So the first thing we built after the smallest version was an Excel importer feed. Where I could just import the Excel and have the course updated. Andrew: I see, so someone still has to get into an Excel spreadsheet, but then to get it to the site is easier? Ruben: Yes, of course, well, the provider gave us the Excel, and then we made a usable site out of it. And then the first version we added filtering and stuff like that. It sort of [??] grew, and the sector really had to grow with us because they had no clue how to do things like that. Andrew: What year was this? Ruben: This was, oh, 2008, beginning of 2008. Andrew: What was the site called at the time? Andrew: EduHub, I see. You even had a logo EduHub under…lowercase with arrow…I see, I didn’t understand when I was checking your stuff out. EduHub.NL? Ruben: Yes. That was the old name, now it’s called Springest [??]. We found the name too [??] and plus it was hard to get the dot com, it was too expensive. [??] Let’s throw it away. Andrew: Make up your own name. Andrew: Oh, I see, so it’s…if you could go back you wouldn’t change your name even though it’s less nerdy and it’s more unique to have Springest? Ruben: There was a conscious decision, we knew it would be, you know, a bit annoying, but it was more than I thought. I’m not sure, I think I would do it again because if we want to move forward, we have to go international. So the initial would still be too big to not do it, I think. But it was tough. Andrew: All right. And now I’m looking at the old version of Eduhub, and I can see coaching, communication. I see management and leadership, sports. Andrew: That’s the kind of stuff that you put up on this site. Ruben: Yeah. It’s how we started. Andrew: You know, I wonder if I should even be doing this. So for some reason, whenever you plug in your phone, you can say, hey, Siri using the new operating system. Andrew: I have to unplug it in an interview because I do love that hey, Siri feature. Ruben: [laughs] You need a computer. Andrew: Or actually start using it in the interview. So maybe I should say, hey, Siri, what did Eduhub used to look like? Ruben: Exactly. We have that online still somewhere because I documented the whole process of how I started the site, you know, still being a blogger. So a lot of people sort of followed the . . .
Andrew: Why are you still a blogger? You had a marketing company. You’re an entrepreneur. Why blog? Ruben: I was never blogging for, you know, money or, I mean . . .
Ruben: If you actually did bits and presentations recently and I hadn’t done that for a while. Someone asked me why because it’s not my profession anymore. But it helps to sharpen your senses, you know. If you’re forced to put it in a certain structure like a presentation or a blog post, you take a bit more time. And it helps to do research to structure it, to think it through again. Plus to get the feedback, of course, from people reading the book. Andrew: I see. And the original idea for Springest came because of a blog post and writing it forced you to think it through. All right. So now I see how you took the spreadsheet, you turned it into a site or you had a developer do it. Used WordPress, right, because WordPress is easy. Andrew: You called up the companies that were already in the spreadsheet, got some details from them, put it in there. Andrew: And then it was time to what? Was it time to do lead gen for revenue or was the next thing that you did look for customers? Ruben: No, first looked for customers because we wanted feedback. So what I did, even before that actually, I did a lot of research being the usability UX guy that I was. Ruben: So I defined personas to say, okay, we’re doing this for Gene who’s looking for a training X and Y. And we’re doing this for Sulu who’s a bit more like this. And we would send that to them already. Say, you know, I’m working on this thing. It will be a bit like a comparison site like working with them or something usual which examples I used. And I tell them, you know, this is what I’m going to do. What do you think? I get a lot of feedback about, you know, stuff they hated and they thought would never work. For instance, doing direct bookings with something or something where they said, this is just impossible. You’ll never do that. Andrew: Direct booking meaning if I see a communication class on your site and I want to sign up, I shouldn’t have to go to their company site. I should just get to buy on your site. Andrew: And your clients were saying, that’s never going to happen? The people who could buy? Ruben: No, no, the education company said, well, this is never going to happen. You know, first, it’s too complex. The employer always pays, so there’s this whole procurement process. So forget it. It will never go online. And they also didn’t have much of their revenue coming in online, and it’s stuff they had for return customers. Stuff like that. So they said it will never work. Andrew: So when you talk about clients, are you talking about the students of these courses? Or are you talking about the people who create the courses? Ruben: No, well, now talking about the providers or the education companies. Andrew: Okay. So then the next step was to call them. So you called them up and they say, never going to work. What’s the next step that you take? Is it looking for potential customers of their programs? It was. So how did you find them? Ruben: Well, first was to sort of get them. That was the funny thing to say at all. If you think it’s never going to work, it won’t be a problem to put your courses on there anyway. Right. Just give me a chance. Ruben: And by the way, we’re going to do this lead generation thing that we think will work. And they also thought, well, you know, probably now get annoying with people requesting information all the time. How about I give you three leads for the entire year and you pay me a lump sum? And it was 6,000 Euros. I said, just pay me that. You’ll get three leads for the entire year. It’s not much for you. It helps me. You know, I was fair. Andrew: That is actually a lot for them. You’re unproven. You don’t really have an audience. And you’re telling them, give me 6,000 bucks and I’ll give you leads of who knows how . . .
Ruben: I was giving them advice on the side, you know, being nice. A lot of [??] from my work for other companies and from counseling sites. Andrew: I see. So they knew that you knew the lead gen business and they said, okay. Did they say, okay, here’s 6,000 bucks. Get us some leads and we’ll sell them. Ruben: Yeah. A few of them said, here’s 6,000 bucks. Just give us the leads. Don’t charge us for leads when you finalize this model. And it was sort of like, they’re, like, well, this is not going to work. Six days. We’ll pay this guy. We’ll be on the . . .[??] . . .
Andrew: Let’s test it for six days. Ruben: We’ll be the first. Yeah. And . . .
Andrew: Test if they’re 6K. Andrew: Okay. So you had some revenue coming in. Andrew: And it was time to get real users, the people who are going to take these courses. What did you do? Ruben: SEO for the most part. Ruben: Yep. Because, you know, we were the first. Well it turned out we were not the first at all; there were like ten sites already doing it. I just never found them. So first thing was to at least start ranking a little bit, and then we did two things at the same time that helped each other. First the SEO to get a little bit of traffic, long field traffic that was doable. And ended up media partners. Those were other blogs, essentially, that also list courses that we provided to them via a very simple RSS feed. Just an RSS feed with courses instead of blog posts. And so we’ll list those and then we’ll give you half of what we make, which was zero still, but there was this promise. Fake it until you make it. And they put them on the site, there were two relatively big marketing blogs that put them on. They said, “Well this is interesting, you can blow it up, [Inaudible]nice service. We have a blog, we’ll point you to nice courses.” They didn’t have any business models of their own and they put them on and the funny thing was that got some traffic, but mostly it bumped our rankings because they were very highly ranking sites. So it helped us with the authority as well. Andrew: How would you pay them? Was the idea… You still had to, you were still going to pay them a share of what you made but what you made was a fixed cost, so how do you figure out what to pay them? Ruben: Well at some point it was pretty quickly, actually, it wasn’t a surprise. We started generating leads and then the new companies that would come in, I wouldn’t offer them the fixed price anymore because well there’s new generation taking off. We’ll have to pay 1% of the course price for each lead that you get. Whether you converted or not, whatever we do with it, 1%. Well that price still stands, funny enough, I didn’t make that up. I’m basing it on something actually. I thought we should be able to convert one in ten leads and they should be able to get 10% of their revenue to get guaranteed more revenue. [inaudible] one in ten and 1%. Ruben: And that price still stands, and that’s how we did the bid afterward and paid the partners as well. Andrew: Do you move onto newspapers next? Ruben: Yep, that’s something we’ve needed to do for quite a while. Newspapers like HR Magazines, old school sort of, very specific, logistic magazines. Or very specific sectors we’ve done. Those then later became job sites, you know, with API and other stuff. So [Inaudible] there is a professional need for people wanting to develop or get ahead in their career; there’s always some learning involved and that’s where we are always been, you know, if it’s an article or a job post, it doesn’t matter. Andrew: I see a site called nationaledelropangids[sp]… You know it? Ruben: Yeah, let me translate it for you. Ruben: That’s the national job guide, sort of. They’re listing the types of jobs that exist. Ruben: In the Netherlands, and in Germany actually, too. They’re sort of piggybacking on our backs, in this case, you know, going into Germany with our German side. They’re telling you what kind of jobs are there in the world, you know, separate from job listings, just explaining what the job is. They’re doing very well, it’s very cool actually. On every job you will find a few educations, a few courses, and they’ll charge you a [Inaudible]. Andrew: I see, but yeah all they’re doing is they’re saying, “Here, if you’re interested in farming, here are the different jobs available in farming. If you’re interested in…” Let me go back and see what else. “If you’re interested in…” It has to translate, thank you Google, wait translate, Google, come on. Ruben: There’s account management jobs as well. Andrew: There we go, pottery painting, merchant, accountants, secretary, all those things. And so within those listings you guys show up as ways for people who are interested in it to learn. Ruben: That’s it, that’s it. If you see… Here you see a profile for account manager, well the interesting thing is we don’t show just courses for account management, because usually when you’re looking for a job you’re just looking to [Inaudible] that, you are already that, so you want to get better at it. Ruben: We take surrounding subjects like, here’s some sales and account management, sales management, stuff like that, that might be an accept for someone who is an account manager already. So we try to help you with the next step as well, not just you know, getting there. Andrew: And the reason that they link to you is because they want to help their audience, but also they want a commission every time you convert one of these hits into a lead for a client of yours. Ruben: They get half usually, yeah. Yeah. Ruben: It’s better usually for them than the AdSense, for instance, because this is much more specific if they do answering service data driven stuff there and our explanations are higher because it’s unique and booking based instead of kick based. Andrew: What is this note that I have here, about an aggressive sales guy from Microsoft who presented LinkedIn?, or pestered LinkedIn? Ruben: Yeah one of our milestones. I think we talked about mile stones, like what are the cool things that you did? Andrew: Yeah, yeah, you and Jeremy talked about that. Ruben: Yeah, right. One of the things we did was a mailing to LinkedIn users that are looking for a job. I think some people, like three percent, of all LinkedIn users have this check box. Yes, I am looking for a job currently. They are called job seekers. We talked to them, and the thing was, we had some emails back and forth, with a product guy, and it never went anywhere. Even though it was obvious we should do something with them. As far as careers and education go. Andrew: You wanted to offer educational courses to people who are looking for a job on LinkedIn? Andrew: And they weren’t receptive to it. They had other things going on, how did it happen? What did you do? Ruben: We just kept calling actually. The guy who worked here, he doesn’t work here anymore, but because he was a bit to aggressive for the H.R. and learning sector. Then two days later it dawned on us, who are we going to have a meeting with, and how long will it be? Will we just fly in and out there for one hour? Then we got back on the phone, who are we going to meet with? We want some more, can you set us up with this and that? It turned out to be almost a full day of meeting with product people and [unknown] are very interesting. That’s what we arranged, and we did the pilot in the end. Andrew: What was the pilot? Ruben: It was emailing about 170,000 users in the U.K., Germany, and the Netherlands. People who had, I’m a job seeker, on their profile. We took their skills threw them in our A.P.I. and threw back the courses that we recommended. We did three free courses, and four paid courses. We emailed them, and it was great for us in looking at the results at open rates, and click rates, LinkedIn also saw that. Then they said, “Well, let’s see what we do next”. We’re still waiting on that step. So we are pestering them. Andrew: How long ago was that? Ruben: That was a half a year ago or something. The next step has to happen. For them it is like, what do we do with education in a broader sense. Andrew: That gives us a sense of the way you work. You are not looking just to buy ads, you are saying where can we partner with people who already have a big audience of job seekers, or people who are curious about careers? Then partner up with them and give them our data with the A.P.I. That is what I wanted to hold off on until talking about now. How early in the development in the business did the A.P.I.s come to play? Andrew: Well, it was in my original brain storm, sort of a mind map. I still have that. It’s insane what is in there and the things we still haven’t done, because of the complexities of learning. There are a lot of articles online now about how learning was supposed to change and [unknown] was supposed to change everything. The changes still haven’t been that big, because it is such a complex, and fragmented, and soft business. We always knew that people were learning all the time. It’s not natural to go and learn now, and then don’t do it again for a while. It is everywhere. We always knew that learning would be in different spots, in different parts of your career, and different parts of your professional life. So, we have to be wherever someone might be interested in learning. Not just people who are explicitly searching for a course. Maybe when you are indeed, looking for a job or reading an interesting article, because that is learning as well. We always knew that, we always knew that you had to have an A.P.I. We held off for a while because it is a big investment and a bit unsure of course. Who is going to use it? Andrew: It seems like the first A.P.I.s were much more manual, either R.S.S. which is not that manual, or maybe you just sent over a series of links? Ruben: Yeah, usually we just had R.S.S. feeds for quite a while. That was our A.P.I., we did R.S.S. feeds of very specific topics. to say, online marketing, here is a list of all of our courses we have. At some point there would be 200 courses in there, and you couldn’t filter. That’s one thing the [unknown] really needed. Andrew: What about the white label? I saw that, I think, on the about page. On one of your sites, what is the white label? Ruben: Well there is one huge problem with education, which is also an opportunity, and that is that usually the employer pays for it. In Europe it is even more common. People will get an education budget from their employer. In the U.S. it is getting to be more common. Companies like LinkedIn and Google half map have a $1,000, $2,000 education budget and a person who wants to learn can just find a course, book it themselves, and get the money back. The problem is that the employer pays, so you don’t pay with your own credit card, or with your own PayPal or something like that. So the payment method was something that was lacking in the sector. So when corporate came to us, the insurance company, the Redlands [sp0], you know, the worst to make a deal with in the beginning, insurance banks, they said, you know we have this [??] thing, but inside of our company, to be able to book courses, not just our own courses internally, because that’s something, but also our external suppliers. And then they want you to connect to our, you know, magical oracle e-procurement system, make the whole payment happen. So we said, no please not the, well, and then we did it, and it turned out to be the payment model that was lacking for our booking theme. You know we always said, people want to book it online, but how do you pay for it? Because you don’t pay for it yourself. You just look for it yourself. And that was the missing link, so then we made the white label thing, for the insurance company, hook it up to procurement systems or whatever they have that’s needed for payment, and then we can do the bookings finally. Andrew: And so the booking finally happened on your site, and then the bill went to the company that did a deal with you? Andrew: …And did they have to have a white label with you in order to have that kind of relationship? Ruben: And then the booking can happen with a discount, actually. Andrew: Reuben, this seems like a big headache. You’d not only have to make sure that you have a white label site, which you could do fairly quickly, but that you deal with their vendors properly, that you give they have right discounts, that you get paid properly. How much money does a, say, an insurance company spend on education in a year? Ruben: Depends, usually it’s about 1000 to 2000 Euros per employee. Andrew: Per employee in the whole company? Andrew: And they actually spend that much money? Ruben: Usually they spend about 60 to 70% of that, and in worse years it’s 40 to 50% or something. Andrew: So are insurance companies the biggest clients that you have, the biggest size? Andrew: …Dollars and cents, what’s a typical bank bring in in revenue for you guys? Ruben: For us it’s about 50 to 150K a year. Andrew: That’s a lot of work for $50,000 in revenue, because it seems like it’s very manual, but then it’s ongoing revenue? Ruben: Well, that’s the interesting thing, it’s just the public side, that we already have, with the same data, only discount applied, so we just say minus 15%. And then we say these, these, and these suppliers, and we already have them. Ruben: That’s the thing, because they’re already on the public side, where they’re generating leads, and they’re also a preferred supplier of this specific corporate. And that’s where the magic happens, because if the specific corporate says, well here’s another preferred supplier that you didn’t have yet, great, we’ll put them on the public platform, and on the white label, and we just got a new customer and we didn’t have to acquire it. Ruben: And that’s when the magic started happening, when we really started to see growth about a year ago when we started to hook up corporates and the education providers also saw this new market come. Andrew: I had one of the founders of Udemy on, I know their one of your suppliers, and people can buy Udemy courses on your platform. But I remember asking him, what are the top courses on the platform, and he said, you know, the number one course at the time was Excel spreadsheet. Learn how to use Excel. And it’s this learn how to use software that’s surprisingly, very popular. What are the top courses for you? Ruben: well I choose, it’s much more the soft stuff, because the hard stuff is much easier to find and compare, or to find online and on Udemy and stuff like that. But the softer things like coaching or assertiveness, or time management, they’re very hard to compare. And that’s why people come to Springest. Andrew: And so you do more revenue in those than anything else? Ruben: Well it’s a huge [??] thing. Actually the biggest thing last year was getting out of debt. And then the coaching you do for that, you know, because the recession there’s a lot of need for people that help other people get out of debt. Andrew: I see, coaching, learn to be a coach that helps other people get out of debt. That was the number one thing. Ruben: Yes, they call it the debt sanitation, or something like that. Andrew: Okay, and that’s not something that a company is paying for, they don’t need their employees to learn that, that’s something that an individual comes to your site to learn how to do. Ruben: Yes for sure. But also, actually what’s huge is health. You know, there’s a lot of nursing courses. Specific courses for types of nursing or for things you do as a nurse. We have a ton of those and they’re very popular as well. So the whole health sector is actually the biggest one on Springest. But it’s all super fragmented. You know, [inaudible] maybe even half a percent of our revenue. Ruben: [inaudible] future indication. This is why there is no Amazon up learning yet. It’s just too fragmented. It’s just [inaudible]. Andrew: So I found that when someone wants to buy a course or sign up for Mixergy, they don’t just come in and say, “I’m ready to buy it. What they do is they build a relationship with Mixergy for a while. They see do I trust Andrew for a while. Does he live up to expectations? Does he stay consistent or is he someone who’s excited and then disappears Who likes him? That takes time. Andrew: If you’re building a marketplace, you can’t develop that kind of relationship with someone, can you? Andrew: How do you do it? How do you do it for a specific course, for example? Ruben: We don’t build a relationship for a specific course. But we build the relationship around you, around your profile. For instance, on MySpace you get suggestions based on your profile that would pull from LinkedIn, and that’s how we sort of interest you in coming back to say, “Hey, what else is there? What else can I do? And then maybe you’ll have some saved courses in there for instance. And we have a list that you can save courses on. If you’re in this orientation you are not just on Mixergy checking out the course but also on two other sites. So you can use it to cement the relation for prospective courses. Plus, of course, there’s the coming back factor. You do this once or twice a year, but it’s a pain every time. So once you thought the usual that there is something like experience for education, then they’ll keep coming back as well. So that’s the longer term relation. Andrew: So let’s move on, listening to our story now obviously because I’m here doing the interview. And the thing that stands out is it just seems too easy. Ruben: You also just said how hard it was because it solved so many problems. Andrew: Those are not easily solved, those are software issues. We can deal with software issues, people issues are a pain. Finding customer issues are tough. Andrew: What is the biggest challenge you had? Ruben: Each challenge as a company was actually, you know, involved with people. The marks of the guy I talked about was a very good sales guy, very aggressive, very sort of pressuring. Ruben: You have the right one for the [inaudible] sector. He wasn’t product minded enough to be able to think about what the market was giving him and translate it into a product that is still saleable. As we said, you know, the whole mobile makes a lot of sense with corporates and white label and education guys, but every corporate has different, you know, wishes and we cannot grant any of them because we want to be a SaaS product and we still are. So that’s where the complexity comes in. We have people that are so product minded they still make the right choice, even though these corporates and these fragmented education providers are pulling and pushing to do what’s right for a very specific sector. And that’s the hard part here. That’s why I think even Udemy hasn’t solved it yet. They’re in a very specific niche of video learning and within that not full breadth but a lot of nerdy courses, shall we say. Ruben: You can solve that. Solving it for all sectors for all types of companies for all types of people . . .
Andrew: Making education into something that lots of different types of people will connect with and learn from and understand, that takes a long time. But you don’t have that problem because you’re pulling it from other people. So you don’t have to do just video learning. You can do in-person also, and you can find others. So it’s the people then that’s the biggest challenge. I see you nodding vigorously. What have you found? What’s a good process for hiring good people that works for you now? Ruben: Well, one very specific thing we do that’s a bit unique is we do trials. We have one day of interview or an afternoon with two or three people, you know. Me and the guy that will work with you the most as a colleague. And then we’ll give you a trial right away. So usually we have about five people coming in for interviews and two or three get a trial and depending on the type of job they work with us for two or three, sometimes five days you just do the job. We make a [inaudible] for you. You get access to all areas. You do everything. You just work here for a while. And not just for an afternoon. Andrew: You put three or four people through that? Ruben: Yeah. Two or three people per job. Ruben: Ideally if we can find them, sometimes just one. Then you have to decide based on that. You can choose, yeah. Andrew: So it’s not , “Hey, we like you. Come and start on Monday. It’s we like you, do a trial run for us. Five days we’ll give you access, et cetera. Andrew: I found that really good people can’t do that because they have a job and they’re working full time, and they can’t just take five days to go work somewhere else. Ruben: Well, they can usually because they’re looking for another job, so they want to invest their time in something new so they can always take a few days off and we have been doing trial remote with developers mostly. They can work at night, do some work, come in for an afternoon. Stuff like that. So there is always a way because someone is interested in us as well and if they’re not, we’ve had that on two or three occasions out of a hundred, where we’d not be interested. If you cannot make this investment you may not be interested in us as well. The trial is not just for us. It’s also for them to learn if they really want to work here. Andrew: And what can you do within five days that tells you that the person is a good fit? Ruben: You’ll see. You’ll see that they are starting to, for instance, criticize the product. Or they’ll start to pester people with ideas or questions like “why are we doing this like this?” Very often it’s an annoying reason. We have to do it because of this. But if you don’t ask the question then you really never solve the thing of course. Ruben: If they don’t ask questions, if they just sit there for half a day, we would do that. There is always a huge task list so if they drown in the task list, also a no go. If they don’t share in the task list comments about what they are doing it’s a no go and with their [?? ], it’s definitely a no go. Andrew: You also need some way of coordinating now that you’ve hired so many people and that’s an important piece of software in the company. What did you do to help everyone coordinate? Ruben: Well we were very agile I would say. We had short meetings and everything on like. Everybody’s doing G-T-D, getting things done. That was a very important part. I was always a G-T-D nerd [??] stuff like that and at some point I discovered holacracy which is, to keep it simple because it’s an entirely different topic, but G-T-D for your organization. So if you do G-T-D and your colleagues don’t, you’ll get very annoyed because they don’t follow up on their tasks. They don’t make [??] choices. They just live in their inbox in the worst cases. And so if you do G-T-D as a company, if you have common rules on how we interact about tasks, about projects, about metrics, about goals they it becomes so much. Andrew: Can you give me an example? I understand how G-T-D of course. Right? We read the book and one example of that is if something comes up, add it to an ‘at whatever’ list so if I know I need to make a phone call right now I don’t just throw it on a to-do list, I throw it on my ‘at calls’ list. I have a list now for Apple. It’s called ‘at Apple’. If I’m at the Apple store anyway picking something up I’ll go through my list of questions for them. What’s an example of how a company can use this type of mentality? Ruben: Well most importantly you agree and that sort of forces on everyone that you do it like this so thereby creating the expectancy that if I ask you something, that you will add context to it, that you will share it in ASANA which is our project management team. Everybody does G-T-D in ASANA so form the objective to the project to the task, steps in between. Everything is in there. So if I give you a task, I don’t ask you to do it, I put it in ASANA and then you will add your context and I can also see that and expect from you what’s going to happen and see your structure and comment on it and this is sort of the extreme transparency that ASANA is also talking about and that holacracy needs. And G-T-D I would say is extreme transparency to yourself. Being honest that there’s always too much to do and we do this within the company. The list is always longer and that’s okay as long as you share the context and share the progress. Andrew: It’s http://www.holacracy.org for anyone who wants more information about it. Ruben: Yes. Check it out. Andrew: Okay. I see the idea makes sense. I saw revenue coming in and it was a profitable business. Why did you raise Series A? Ruben: Mostly because we want to grow in two areas. One is abroad so Germany and the U.K. It’s still an area where . . .
Andrew: It’s still not the U.S., I noticed. Ruben: No. Still not the U.S. Still U.K. and Germany. The U.S. site was only live for the meetings at LinkedIn and it was showing that we can do that very quickly because we can. So we can launch in a new country just like that. We did Russia in about a week or something. Just to how 5,000 courses there. But no, the focus is in the U.K. and you need a lot of money to sort of force your way into the market place. Buying addresses is expensive. Getting new providers, doing sales. So going abroad is one part plus adding developers to make the sites scalable for other countries which is not super easy and then the white label thing which also needs a lot of investing because [??] corporates here and we need more money for that as well and . . .
Andrew: That is the next frontier for you. Corporations? Ruben: Corporations plus the international part of that because this is an interesting thing. Education is still largely local. You don’t go very far for your education. Maybe if you do an MBA but anything shorter than an MBA you don’t travel that far. So nearly every education company is local. That’s really interesting. You know, the Apollo [?] Group which is like the biggest in the world does nearly nothing in Western Europe. That’s weird. You know what? What other industry do you have that is so localized? So it’s very hard for us to jump from one country to the next because we have to begin at, you know, zero again. We don’t bring any customers. That’s the first time we’re actually not start at zero, and that’s why we want to invest in both of those things at the same time. Andrew: What kind of revenues are you guys doing now? Ruben: It’s about two million dollars and 1.6 million in Euros. It depends on where we’re going the last quarter. Andrew: You said two million and what was the rest, the other part of it? Ruben: I said two million dollars. Of the rest I said in Europe. Andrew: Oh, in Europe. I see 1.6 Euros, two million dollars. Andrew: That’s where you are right now. Andrew: Why are you willing to tell me? I’m surprised that actually a Dutch company is willing to be open about its revenue. Usually it’s the U.S. startups that are open. Ruben: Maybe it’s just me, I don’t know. That’s mum Dutch, I’m not sure but I do a lot of talks and meetups, and I just share a lot of stuff like that. So I’m okay with that. You know, what do I have to hide? I’m not pretending to be bigger. You can just see what we do online. We have the extreme transparency going on in the inside. We share a lot with our own customers. So why not things like that? It’s not too hard to come up with those kinds of numbers if you know the amount of traffic we had and what we charge for leads. If you do the math, you can figure it out too, you know. So I’m okay with those. Andrew: You know, I should close it out with this one question that you said we need to ask you. We always ask in the pre-interview what question should we have asked you? Here’s what you said. Change in companies and HR managers. What do you mean by that? Ruben: Yeah. There’s this thing we’ve been researching in our different countries and ask managers and HR managers specifically, you know, what do you want to do with [inaudible] and what do you want to learn? To give them more freedom to choose their own path, to choose their own education, or do you want to give them less freedom and control what they’re choosing to control the authority or to control the direction they’re taking. Ruben: We are supporting companies that say we want to give employees the freedom or some freedom to choose their own direction because we think that’s best. If they are choosing consciously they’ll be more motivated. Companies like that we want to support by saying, “Okay, here’s a system that supports that because there’s still a buying process.” They’re still a preferred supplier. So, yeah, that’s reality, you know. We like companies that say are we pleased to choose by themselves. We’ll guide them a little. We not help them as HR because we don’t have 20 HR advisers to guide you through the process. So here’s some software that will limit your boundaries a little. Andrew: I can see how that would be a really good fit for you guys. You know what actually? I’m going to close it out this way because now I’m reflecting on the person who I met when we started this conversation. This was a guy who is working in a stressful environment, doing marketing, running a marketing agency for clients who are very demanding, who forced him to do things so quickly that it almost seemed unreasonable at times. Today you’ve done it. You’ve got a company. You raised money. You’re helping people learn, and you’re building this thing that was a dream a few years ago. What’s the best part of having done all this? Ruben: Well, we’re learning all the time actually. Andrew: You’re learning all the time. What’s the latest thing you learned? Ruben: The latest thing I learned, let’s see, I actually learned some SQL skills today. It had something internally, and I had to fix it and I asked the developer. I learned something there. So I’m still sharpening the [inaudible] skills as well. Andrew: All right, way to go. The company is Springest. Is there a Springest.com. I never thought to look. Let me look Springest.com. Ruben: It’s take you to the local sites quickly because without commas it’s a bad time. So check out the UK, the German, and the Dutch. That’s mine. Andrew: I went to, for some reason, I kept sticking with the Dutch site, and then I realized, of course, on the bottom they have a link to turn it into English. Andrew: Well, it’s a great idea. It’s such an interesting and successful company. 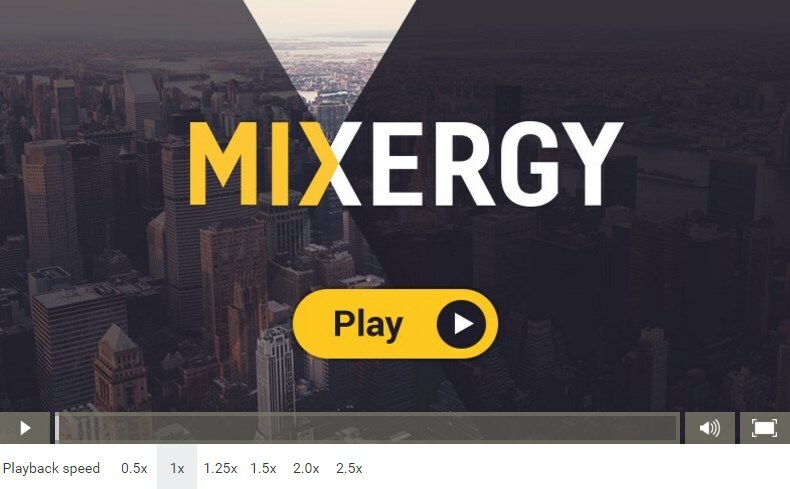 I’m proud to have you on here on Mixergy. Thank you for sharing your story, and it’s cool also as we talked before we started that you’re a true fan. I love to see Mixergy fans do well. Ruben: Great. Thank you very much. Thank you for having me as well. Andrew: You bet. Thank you, Ruben. Thank you all for being a part of it everyone.